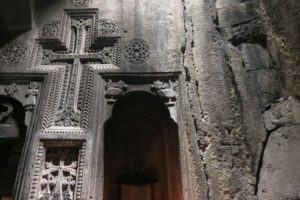 “Whether you are interested in the origins of wine-making, the story of the early church, or enjoy watching eagles soaring through the mountains, our small-group Tour of Georgia and Armenia takes you to new frontiers”. Arrival at Tbilisi international Airport. Transfer by bus to the hotel (15 km from Tbilisi, 15 minutes drive). 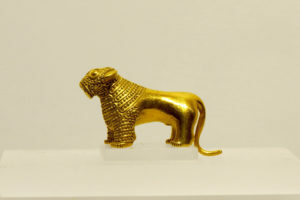 The whole day is dedicated to a sightseeing tour of Tbilisi, the capital of Georgia from 5th century and renowned for its elegant and remarkable architecture. Walking through the through old city we visit to 13th century Metekhi church, the sulphur baths and the 4th century, Narikala fortress as well as the 7th century Sioni cathedral. We stroll through the streets of Old Tbilisi to the 6th century Anchiskhati basilica before having lunch in a city restaurant. After lunch, we visit the Tbilisi National Museum and the afternoon is rounded off with a visit to the Vino Underground wine cellar in Old Tbilisi where we taste some of the famous Georgina wines. Breakfast in the hotel. After breakfast we drive to the Armenian border at Sadakhlo where we complete the border formalities and cross into Armenia. 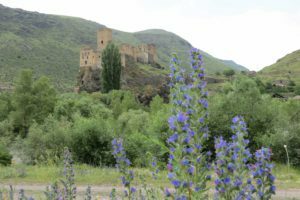 We continue on to Lalvar where we visit the 10th century Haghpat monastery – once the cultural, scientific and spiritual centre of medieval Armenia – before continuing on to Dilijan for lunch. After lunch and on our way to Yerevan, we pass through the Gegharqunik region where we enjoy the beauty of Lake Sevan – the highest sweet water lake in the Caucasus and famous for its trout. It also gives us the opportunity to visit the beautiful Sevanavank monastery idyllically situated on its shores. We proceed to Yerevan, to arrive in the early evening. After breakfast in the hotel, we begin our tour of Yerevan which, according to an inscription in the Erebouni fortress dating its foundation to 782 BC, can claim to be one of the oldest cities in the world. 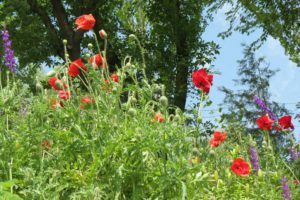 We start off with a drive up to the Victory park to look down on the city spread out below and beyond to Mount Ararat. We then drive down into the city to admire the Cascade – an extraordinary manifestation of contemporary architecture – and also the home of the Gafeschian Centre of Art. Next, we pay a visit the astonishing Matenadaran Institute of ancient manuscripts, home to more than 17,000 ancient manuscripts including some dating back to the 5th century. The short tour in the Matenadaran is led by a specialist from the Institute. For lunch we drive to a local carpet factory where we are able to watch local women working on the looms. After lunch, we visit the extraordinary and moving History Museum documenting the story of Greater Armenia since antiquity. The day is rounded off by a visit to the Yerevan Brandy Factory with a guided excursion and tasting of the famous Armenian Brandy. Evening meal and overnight in Yerevan. After breakfast in the hotel, we drive to the nearby city of Echmiadzin (the so called Armenian Vatican city) for a visit to the Cathedral, a place of pilgrimage for all Armenians around the world. Built in the fourth century and reputed to be one of the world’s oldest cathedrals, Echmiadzin is also the official residence of the Catholikos – the spiritual leader of the Armenian church. Lunch is in a charming nearby restaurant run by a family of the Cross of Armenian Unity – a charity NGO founded in 1991 with the aim of providing humanitarian assistance to orphans. On the way to Echmiadzin, we also call in on the Zvartnots Temple, built in the 7th Century and once undoubtedly a majestic sight, but now alas partly destroyed by earthquakes. After lunch we drive for an hour to reach the famous Geghard Cave Monastery. 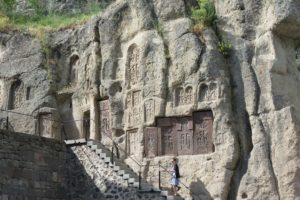 Situated 40 km away from Yerevan and partially carved in the rock it is renowned for its fine acoustics and we are treated to short private concert of early medieval Armenian religious music. 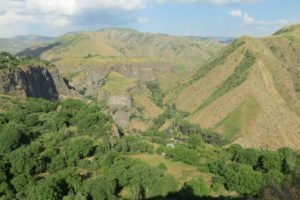 We then drive to the nearby village of Garni to visit the 1st century AD Roman temple – the only pagan temple remaining in Armenia – from which there is a stunning view over the Azat river gorge. 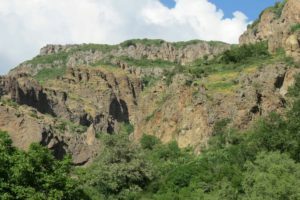 For those who wish, there is the opportunity to take a short hike through the gorge to get a closer view of the cliff walls with their astonishing basalt columns. 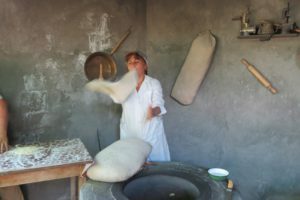 Our evening meal is at the house of an Armenian rural family with a demonstration of Armenian Bread “Lavash” baking process in an underground traditional oven. After breakfast, we depart from Yerevan driving back towards Lake Sevan. Our fist stop is at the old cemetery of cross-stones, Noraduz, with its collection of khachkars (Armenian stone carved crosses), where the oldest dates back to the 10th century. We then continue to the Selim Pass and one of the best preserved caravanseries in Armenia dating back to the 13th century and once part of the Silk Road. On our way to Goris we also visit the ancient observatory of Karahunj (otherwise called Zorats Karer). Constructed 6000 years ago, the observatory was used for 4000 years and is one of the oldest and well-preserved evidence of pre-historic civilization in the area. Evening meal and overnight in Goris. After breakfast in the hotel, we drive to Tatev and take the cable car to the Monastery (9-14th century). 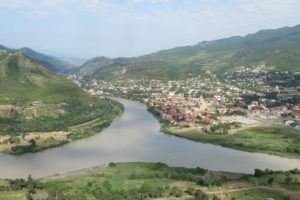 At 5,7 km long, the cable-car is the longest in the world and on during the rider we enjoy a breathtaking view over the River Vorotan and the canyon below. After lunch, we drive the short distance back to the Khndzoresk cave village where we spend a couple of hours exploring this extraordinary village. It is also possible to organise an optional bird-watching expedition in the afternoon for those who wish. We depart Goris after breakfast for our return journey to Yerevan. On our route we make a short detour to stop off at the incredibly located Noravank Monastery, spectacularly surrounded by stunning red cliffs. Returning to the main road, we visit the cave in Areni where archaeologists have uncovered a winery dating back six and a half thousand years – testimony that winemaking has its origins in Armenia. After lunch, we continue to Yerevan but first stopping at the stunningly located Khor Virap Monastery, dating back to the 4th century and where Gregory the Illuminator was imprisoned for 13 years. Here we are just 20 km away from the Turkish border and Mount Ararat is so close you could be forgiven for wanting climb it. After the visit we travel onwards to Yerevan. Farewell dinner and overnight in Yerevan. After breakfast, we depart Yerevan to drive back towards Georgia. Our first stop is the Saghmosavank monastery which takes its name from the saghmos or religious songs that were sung in churches and monasteries. Back in Georgia, we have a short drive to Vardzia. We begin our day with a visit to Vardzia cave city – a spectacular rock-hewn monastery from the mediaeval period not unlike some of the similar complexes in Cappadocia in Turkey and remarkable for some of the well-preserved frescoes including the depiction of the 12th century founder of the complex, Queen Tamara (12-13th century). After lunch in local family run restaurant close to the site we proceed to Tbilisi. 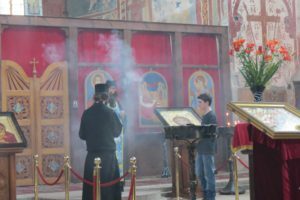 We begin the day by driving to the old capital of Kartli-Iberia kingdom, Mtskheta, where we visit the charming, 6th century Jvari monastery. 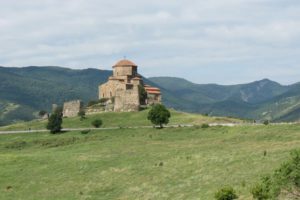 After also visiting the Svetitskhoveli cathedral and Samtavro convent, we continue north along the Georgian Military Highway to the Mtiuleti and Khevi provinces. After lunch in local restaurant we visit the Ananuri architectural complex before continuing on to Kazbegi where, at the height of 2379m we are quite literally on the crossroads between Europe and Asia. Dinner and overnight in Kazbegi. After breakfast, we drive up in 4×4 vehicles to the iconic Gergeti Trinity church which has rightly become emblematic of the Georgian landscape. 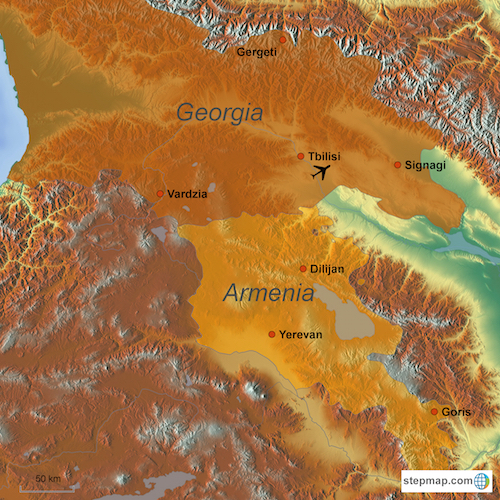 For those who are feeling adventurous, it is also possible to walk up to the Gergeti church. Lunch is in a local family home. For those who are interested it is possible to organise a bird-watching expedition in the afternoon. After breakfast we return to Tbilisi by minibus – returning in time for lunch. Free last afternoon in Tbilisi. Dinner in Georgian city restaurant. Overnight in Tbilisi.